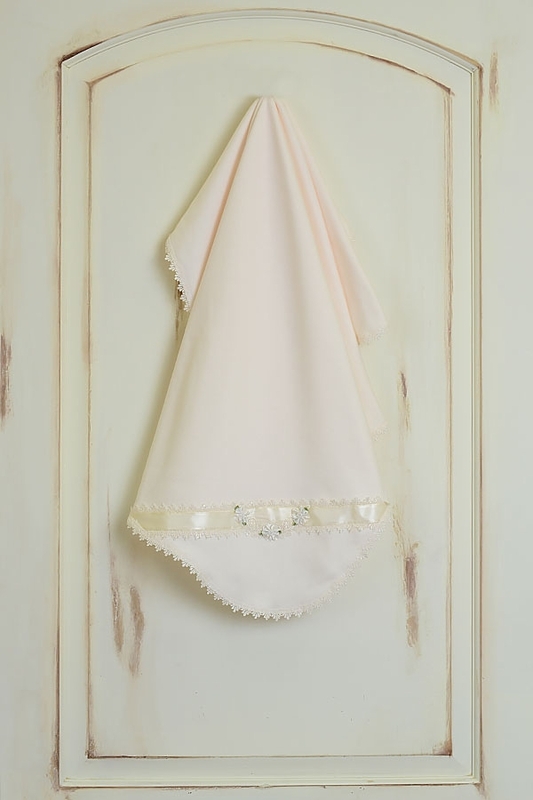 Whether you are welcoming your sweet new love to the world or simply want show your love again and again, this darling Katie Rose baby blanket is sure to become a cherished possession. The ivory blanket is made from 100% cotton and boasts of the soft touch to her delicate skin. 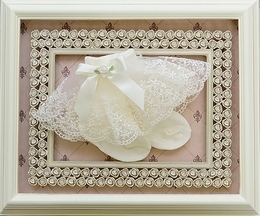 A single corner is embellished by lacy embroidering and quaint ribbon rosettes. 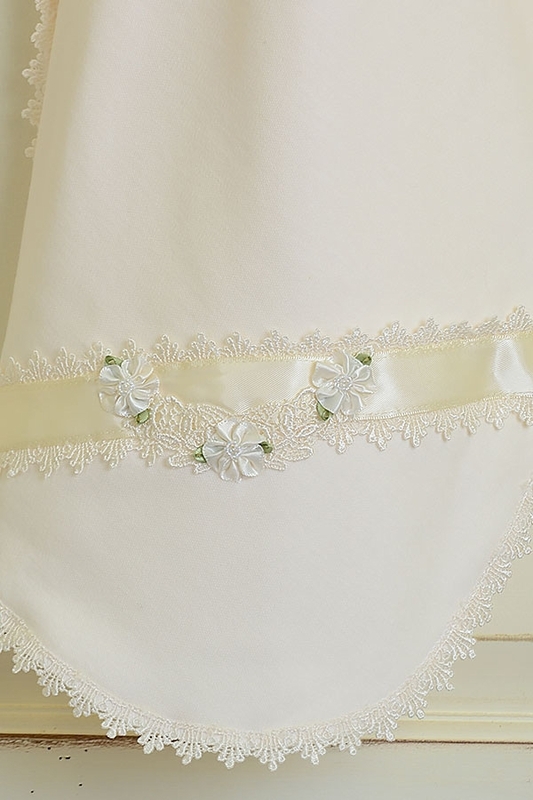 Tiny lace flowers come together to create the beautiful hem. Wash with care. Hand Wash Cold, Lay Flat to Dry. Made in the U.S.A.